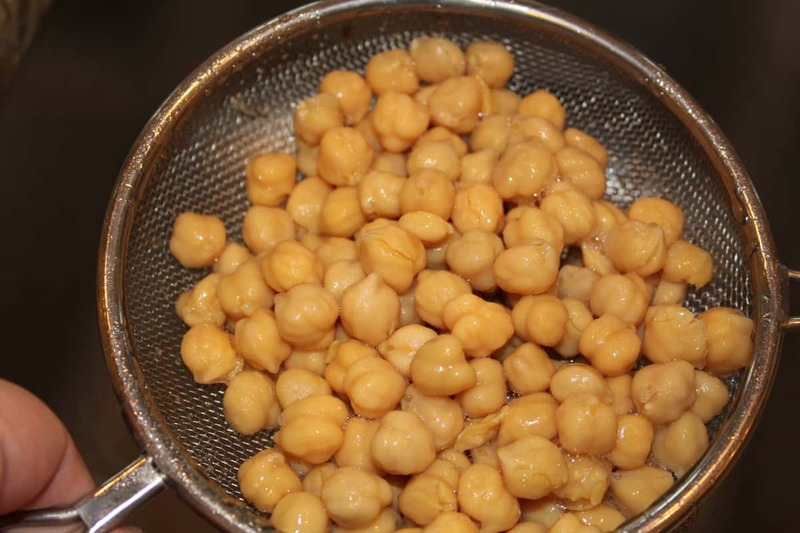 Start by draining and rinsing your chickpeas. 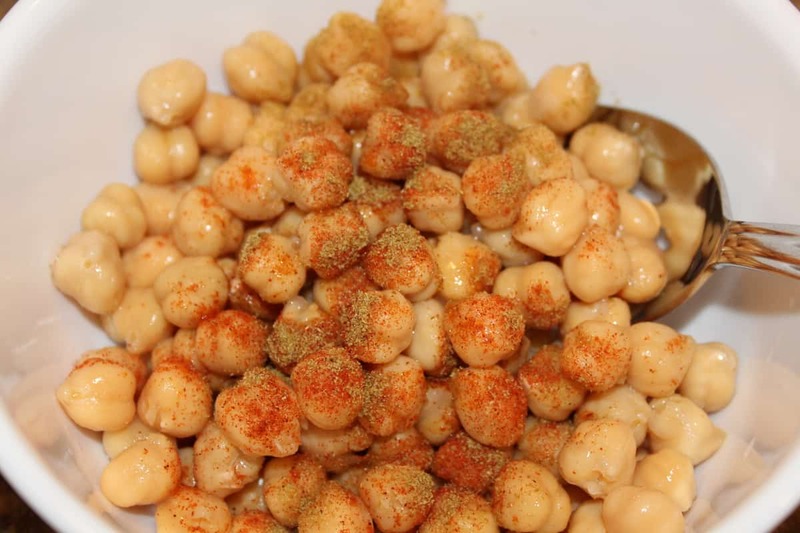 Then mix in the olive oil and spices. 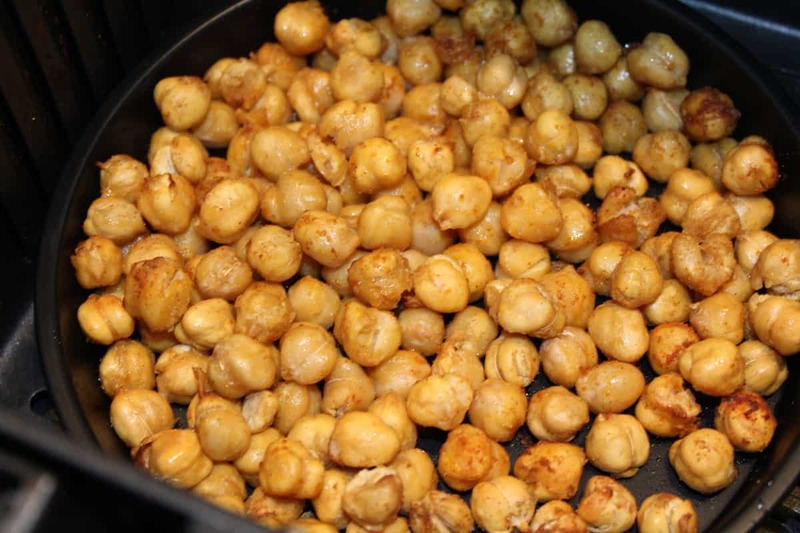 Transfer to an air fryer safe pan. 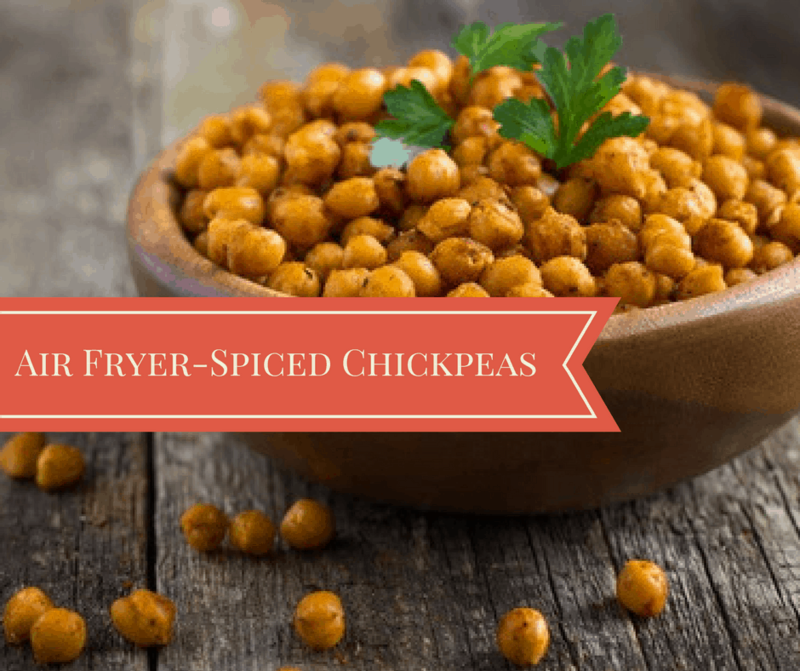 Preheat your air fryer to 390 degrees F.
Then in a small bowl mix together the chickpeas, olive oil, paprika, cumin, and salt. Mix well, so that all of them are covered. 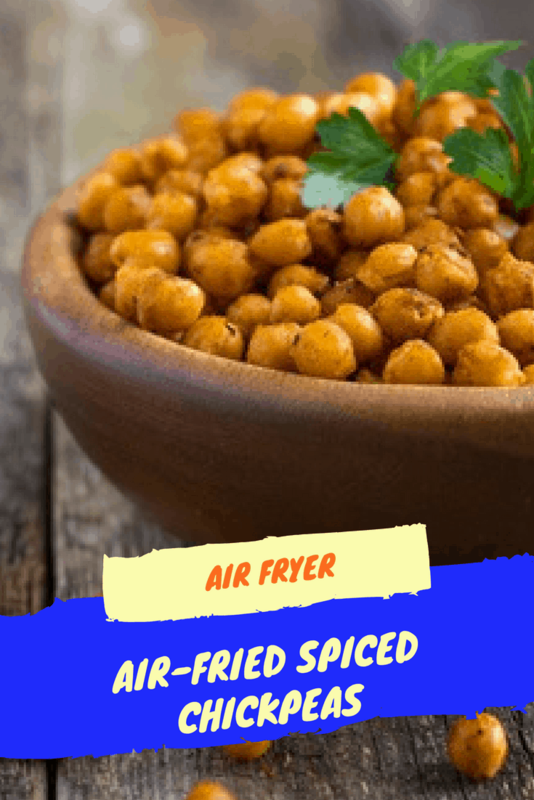 Then place the chickpeas in an air fryer safe pan and air fry for about 8 to 10 minutes, shaking the basket halfway through cooking. 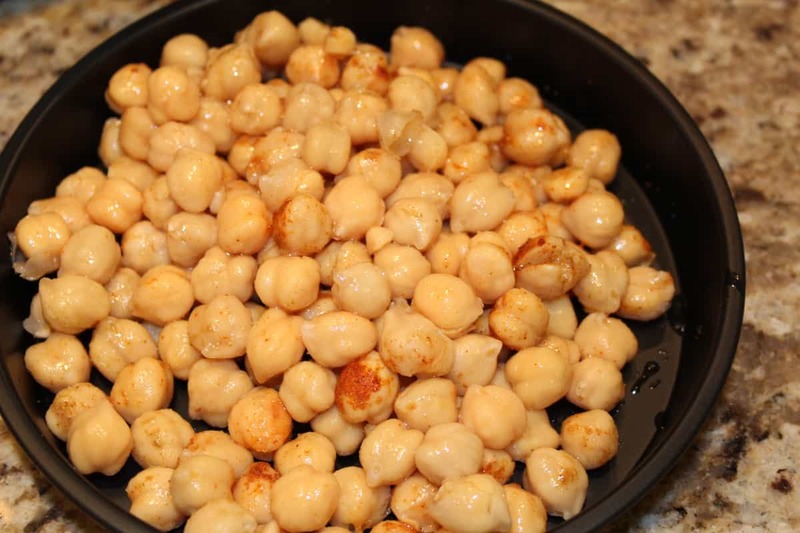 Remove from the air fryer pan, and place in a bowl. Optional: Dash some extra salt on it.